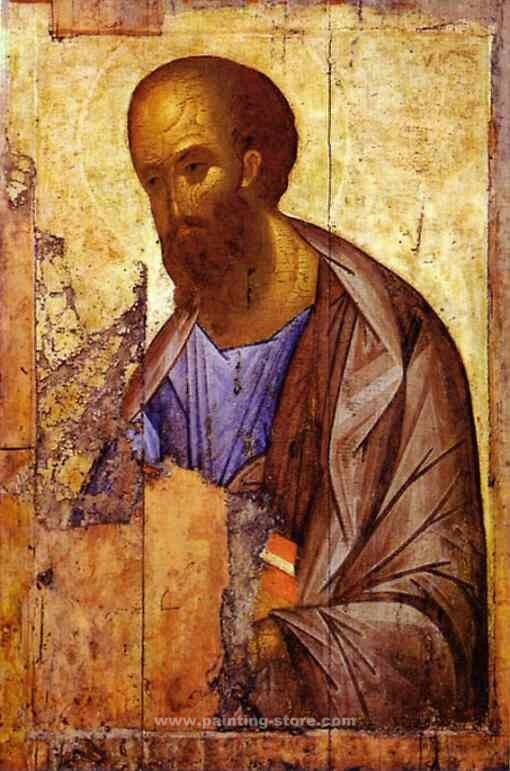 Apostle Paul. rublev4a - AMAZON OIL PAINTING CO.,LTD. Apostle Paul. c. 1420s. Tempera on wood. 160 x 109 cm. The Tretyakov Gallery, Moscow, Russia.